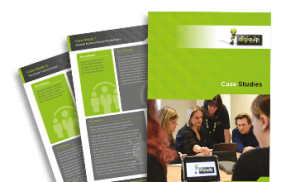 Everything you would expect from a normal phone system supplier with so much more to add. We are a partner of the leading business telephone system brands. This includes, LG Ericsson and Panasonic. We have Finance solutions available to suit all business types. With low monthly payments and with little or no upfront costs. Your account manager will always be on hand throughout the entire process and in after sales too. Answer your business calls on any device, anywhere! Instant call management for smart businesses. Whether you want to use Inbound call routing for business continuity or need flexibility as to where you can answer your business calls, inbound can provide a easy to use effective call routing solution. A simple to use application that fully integrates the power of your phone system onto your desktop computer. Click to dial from Outlook, screen pop your CRM system. We are able to offer the very latest Telephone Systems, using VOIP technology and traditional PBX. In our experience most businesses pay far more for their calls and line rental than they need to. At Digiquip our aim is to reduce your costs, and improve your system at the same time to help your business benefit from the latest technology and features. What best describes your scenario? With our great payment plans Diqiquip becomes very attractive to Startup’s. Especially when typically money is being invested to get things off the ground. With initial site survey, expert product advice and in-house account manager overseeing the whole process, your communications are safe in our hands. Upgrade at no extra cost! Technology changes and improves daily, new products can benefit your business. Upgrading your systems to suit your needs could not be any easier. Digiquip will aim to tie in with your existing agreements and keep your costs down. Just speak to your account manager for advice. Remote workers, additional offices or sites? Businesses move in different directions all the time. Digiquip experience this frequently and will adapt your systems to cope with any changes and even prepare for further future growth. With flexible options and plans we will find a tailored solution just for you. Our dedicated team will endeavour to make your office move as seamless as possible. Our own trained engineers and in-house support staff working with suppliers on your behalf gives you peace of mind your relocation process will be professionally managed from start to finish. 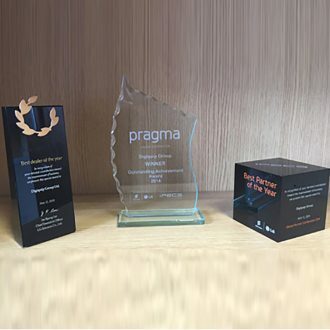 Digiquip are proud winners of outstanding achievement and partner awards for the sales and support of Ericsson-LG business telephone systems in the UK. With dedicated account managers and professional highly trained technical support staff delivering tailored telecommunication we are sure to find a solutions that suit your business. 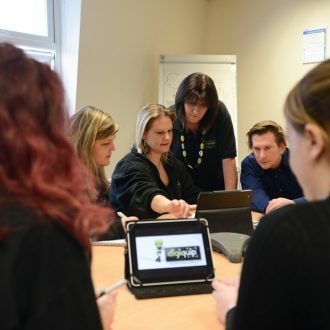 Whether you are just looking to reduce costs or implement a larger scale change, Digiquip are the best choice for ‘connecting your business telecoms’. Digiquip liaise with your existing IT team or company to ensure our systems are fully integrated with your existing set up and arrange the best maintenance package to suit you. Ofcom – Registered and recognised by Ofcom Digiquip Group Limited are a member of the Ombudsman Communication Services. To find out more see our complaints code in the T&C’s . FCS – Federation of Communication Services. Digiquip are active members of the FCS. This ensures we stay on top of all regulatory changes and updates in our market sector to always ensure ‘best practice’. 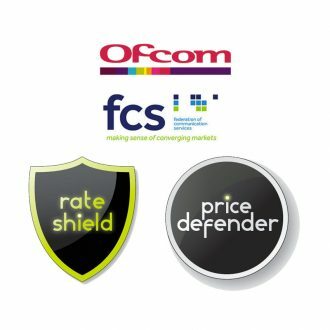 Rate Shield – Frustrated with introductory offers from suppliers? The Rate Shield guarantees Digiquip will not increase call charges or charges for line rental once you are a customer of ours. See our Terms and Conditions for more information. 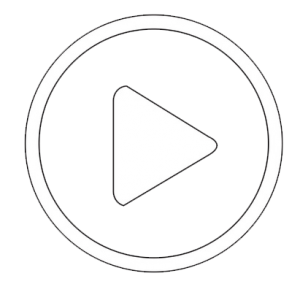 Price Defender – We understand it is a competitive marketplace, but our customers know with the Price Defender scheme we will match or beat any competitors quote for a comparable service whilst you are in an agreement with us. See our Terms and Conditions for more information. Just to let you know that the new system was installed yesterday. Too many people like to complain these days and nobody likes to give praise but I would just like to say that your engineer was very professional and he completed the job in a quiet and orderly manor with minimum fuss or destruction to us. Engineer was very accommodating with all of our operational needs and fitted everything around us. It was a pleasure to have him here. He (your engineer) helped solve a problem with the ISDN, where only 2 lines were working, and came back and fixed the problem after Openreach had been. Thank you for installing our equipment. The guys arrived on time, were very polite and professional, fully explained the work to be carried out. After installation they explained in detail about the system, ring tones, answer phone and all the questions that we asked. So far having chatted to several of you on the phone, we are very pleased that we have moved from BT. It is nice talking to someone when I call than being passed on to someone else and never sorting a problem. He was trustworthy, efficient and understood our needs. A true professional with a personality to match. Nothing was too much trouble!!! The team has been very supportive. Pre Digiquip system we had a couple of issues. Two of the lines were not working, your engineer fixed this. We also had a problem with our speed dials. This has now been fixed by yourselves we are very happy we used Digiquip. We were impressed with the politeness and patience of the engineers and the way in which they made sure they did not disturb the running of the business. They completed the work efficiently and when we contacted them later the engineer who came was very helpful and answered questions which we had. Very happy as both engineers were efficient and helpful, had a pleasant demeanour and were happy to explain things to us. Just want to say thank you for having a customer services advisor that actually understands my dilemmas for once ! All sorted and a great phone manner. We are providing solutions with market leading business equipment and service providers. We are proud to be highly regarded and accredited by many of our suppliers and partners.